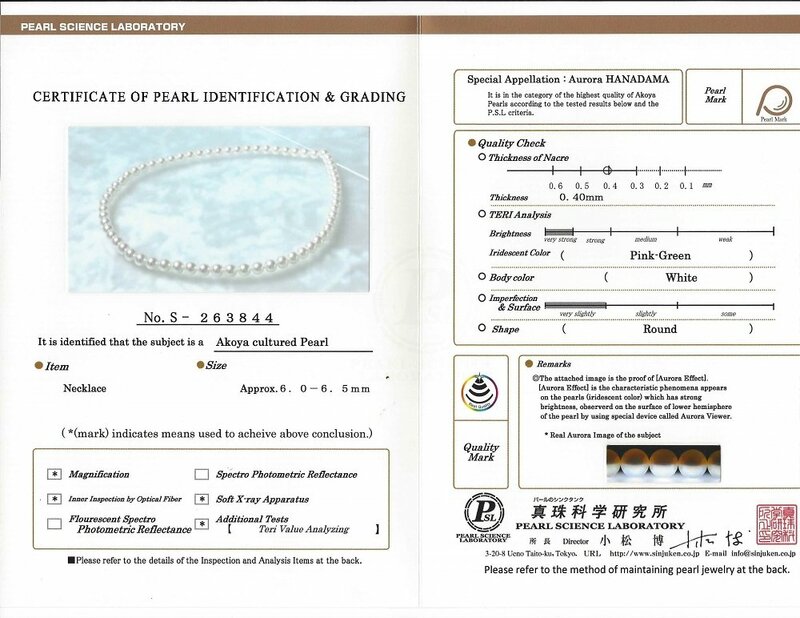 Hanadama, meaning 'Flower Pearl,' represents the highest quality available in Japanese Akoya Pearls, certified by the Japan Pearl Science Laboratory. Only approximately 2% of the annual Akoya cultured pearl harvest qualifies for the Hanadama Grade. This beautiful Akoya pearl necklace ranges between 6.0-6.5mm in size and consists of all beautiful and extremely lustrous Hanadama pearls. 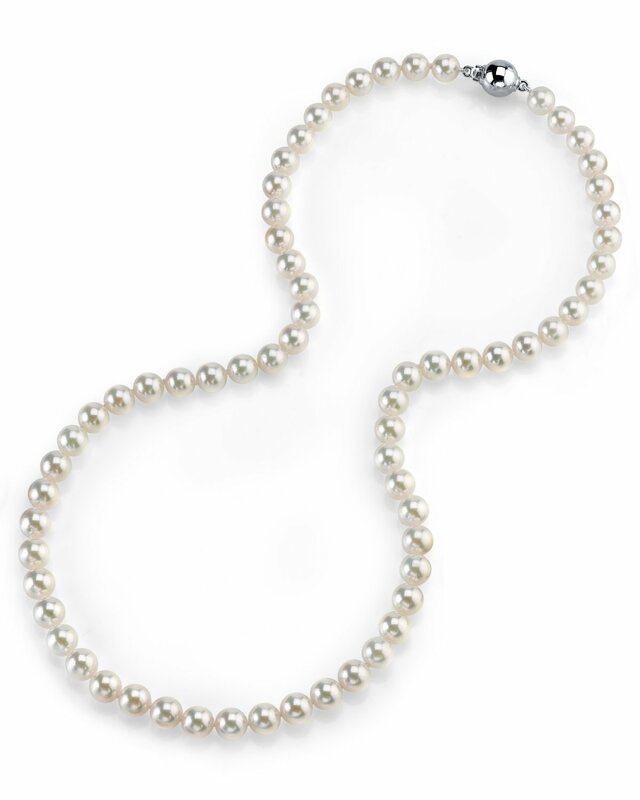 All pearls in this necklace are perfectly round and are strung with silk thread and double-knotted between each pearl. This necklace comes standard with a beautiful 14K gold clasp, though premium clasps can be selected for an additional cost. 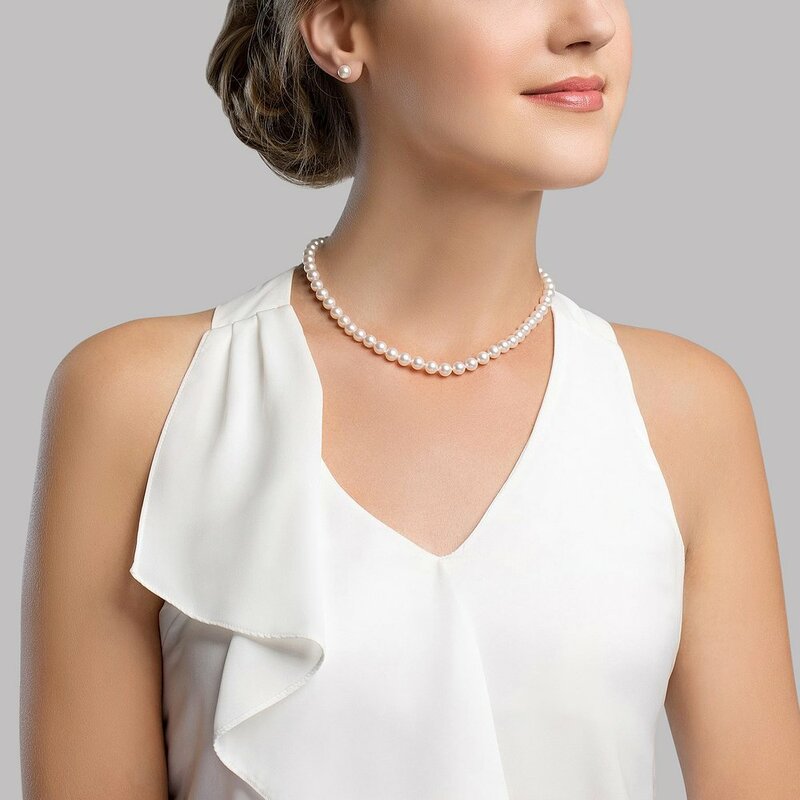 Known as the 'icon' of cultured pearls, Akoya pearls have graced the necks, ears, fingers, and wrists of women for decades. The Pearl Source imports their Akoya pearls from the saltwaters of Japan, grown in the Pinctada fucata oyster. 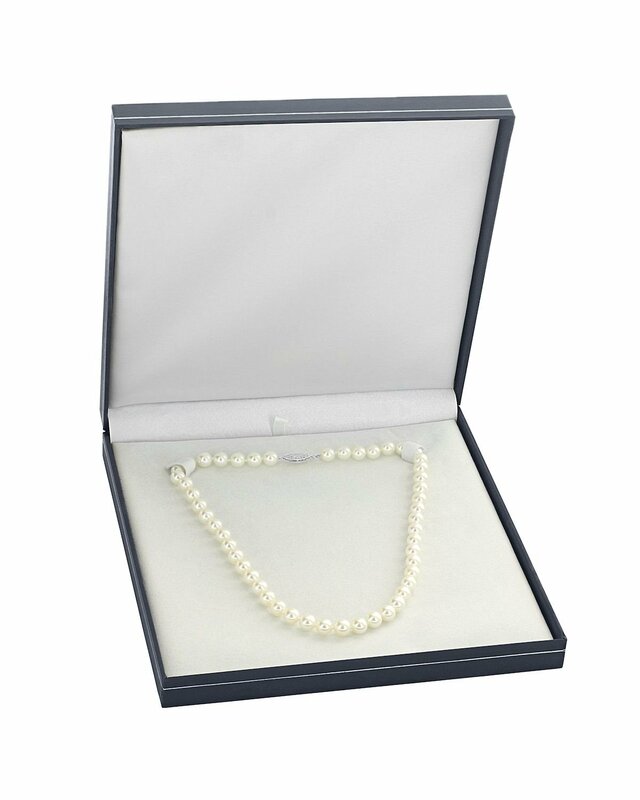 All of our Akoya pearl necklaces are made on site, and our extensive experience and careful attention to detail allows us to create truly beautiful Akoya pearl necklaces. If you have any further questions, feel free to call us anytime at 1-866-87-PEARL (1-866-877-3275). My wife was smiling so much on Christmas after opening each box and saying to all the family look I have the most Beautiful Pearls & the whole set, earrings, bracelet, & Necklace. Best gift Ever! !